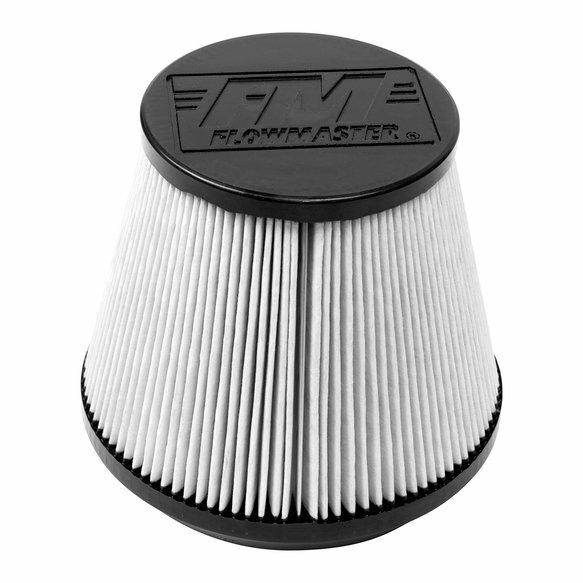 Flowmaster's New Delta Force universal-fit replacement dry synthetic air filter features 0.50 inch deep pleats by 6.63 inch cone length providing an overall wide surface area for optimum airflow. The inlet has a large 6.00 inch opening and the end cap has the Flowmaster logo embossed right into the end showing everyone you appreciate quality and performance. 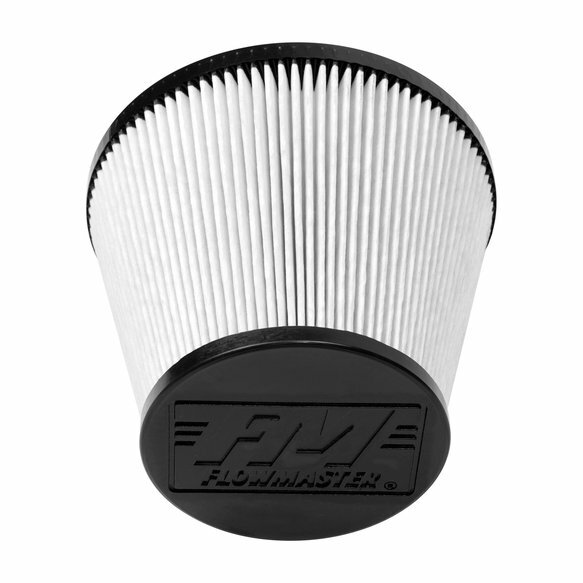 A dry filter is recommended if you drive in a heavy dusty environment and you can extend the usable life of these filters by using lower pressure compressed air to blow the dirt particles off the exterior element. Be sure to check out our pre-oiled cotton replacement filters, which also protect and filter very well in heavy dusty conditions.